The SSL campus consists of three buildings: The Silver Lab (original building), the Addition (new building) and the Annex. The Space Sciences Laboratory (SSL) street address is 7 Gauss Way, Berkeley, CA 94720. 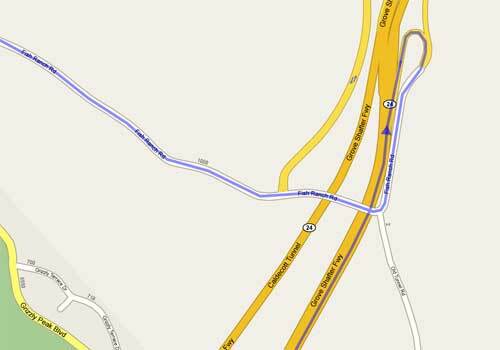 This link will show our location at Google Maps. This is an overview of directions from SFO (San Francisco International Airport) to SSL. Detailed directions. The red square on maps highlights a tricky part. When going through the Caldecott tunnel (CA 24 East) you must go through the right most bore/tunnel and the be in the right hand lane of the right hand bore, and then take the very first exit, just out of the tunnel (see below). 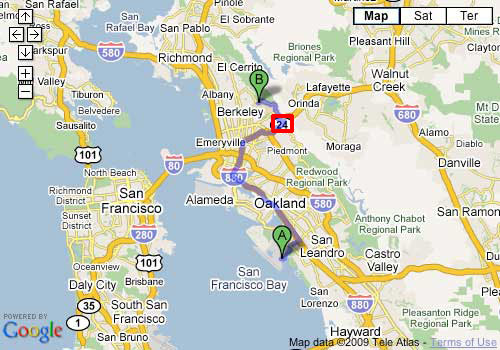 This is an overview of directions from OAK (Oakland International Airport) to SSL. Detailed directions. 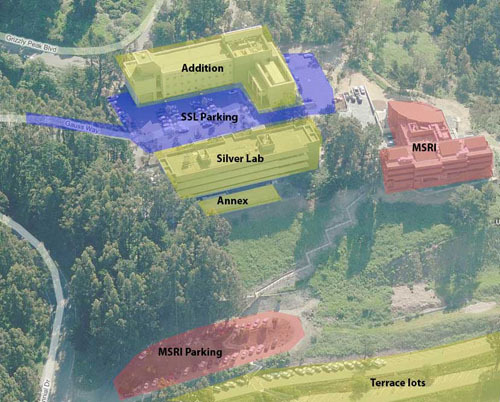 Parking for visitors is available with a daily permit that will be provided by your host (parking enforcement is aggressive) or a day use permit obtained through the parking kiosks at the Lawrence Hall of Science. 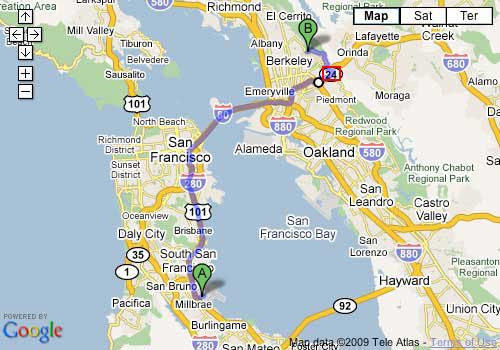 Here is a listing of local Hotels and Motels from the Berkeley Chamber of Commerce.